We have previously discussed in 7 Important Security System Add-Ons for Your Smart Home that using contact sensors on doors and windows adds extra security and value to your security system. After all, perimeter doors and windows are the most common use of contact sensors. However, the idea of adding these sensors to other areas of the house is often overlooked. In today’s post, we’ll begin by defining what a contact sensor is and how it works. We’ll then discuss how these sensors can alert you, or others if desired, to any activity. Finally, we’ll run through 5 unconventional uses for these sensors outside of a simple door or window. What is a Contact Sensor? Wireless contact sensors, such as this sensor made by Interlogix, send a signal back to the panel when the field between the larger contact and the magnet is broken. A contact sensor serves as the basic building block to any security system. 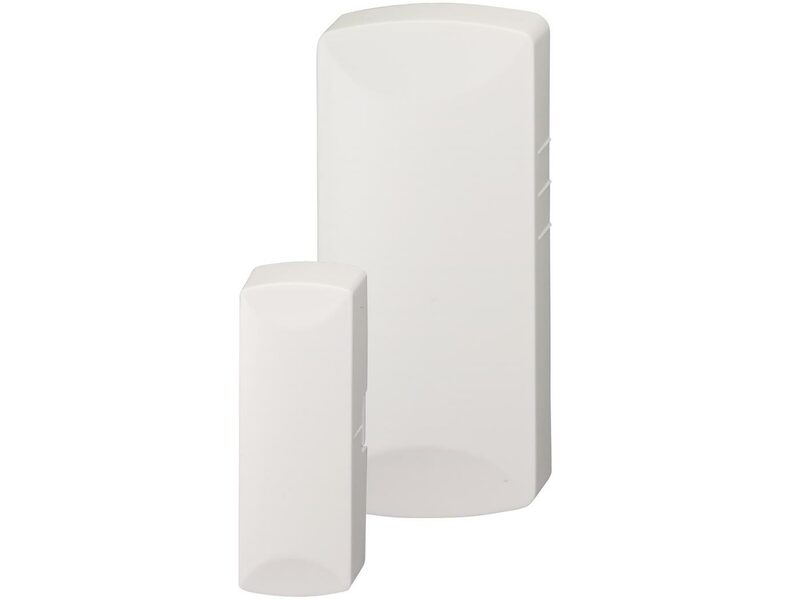 These sensors are most often used to protect the doors and windows of your home. When a door or window is closed, the sensor itself aligns with a magnet. Once the door or window opens and the magnetic field is broken, the sensor sends a signal to the security panel to alert the panel that the sensor has been opened. Most contact sensors installed recently are wireless, like the one pictured here. One this sensor is opened, it will send an alert to the panel. However, hardwired sensors use a magnet to detect when a contact has been opened just as a wireless sensor does. The only difference is that a hardwired sensor must have a wire running from the sensor to the panel, rather than sending a wireless signal. As we pointed out in our post about home security system design, most break-ins occur through doors. Therefore contact sensors are the component on your security system most likely to catch a potential thief. However, not every contact sensor we install is meant to stop a burglary. Some of these sensors add safety to your home in other ways. We will discuss some places that you may want to add additional contact sensors. But first, let’s discuss how these sensors help you track activity in your home. How Do Contact Sensors Alert You to Activity? We can program a contact sensor to provide different responses in different settings. When a system is armed, opening a door or a window with a contact sensor will often send the system into alarm. This both creates a siren and a central station and police response, if necessary. However, this may not be necessary with every contact sensor. For example, some contact sensors create an alarm with no central station response. These sensors may also only work while the system is armed. However, we occasionally install sensors that create an alarm response even if the system is not armed. We call these “always-on” sensors. This is most often the case when homeowners ask for a sensor on a door that will remain closed at almost all times. For example, a homeowner may wish for a contact sensor on a safe to sound an alarm even when the security system is disarmed. Finally, we can install contact sensors that send an alert to your phone through interactive services. If you have interactive service installed with your security system, such as the type we install powered by Alarm.com, you can set up contact sensors to alert you to activity without actually sending the security system into alarm. Adding contact sensors to areas of your home where want to track activity adds an extra level of both security and peace of mind. What Are Unconventional Uses of Contact Sensors? While many people think of contact sensors as a way to protect doors and windows, anything that opens or closes with a relatively flat surface qualifies for a contact sensor. 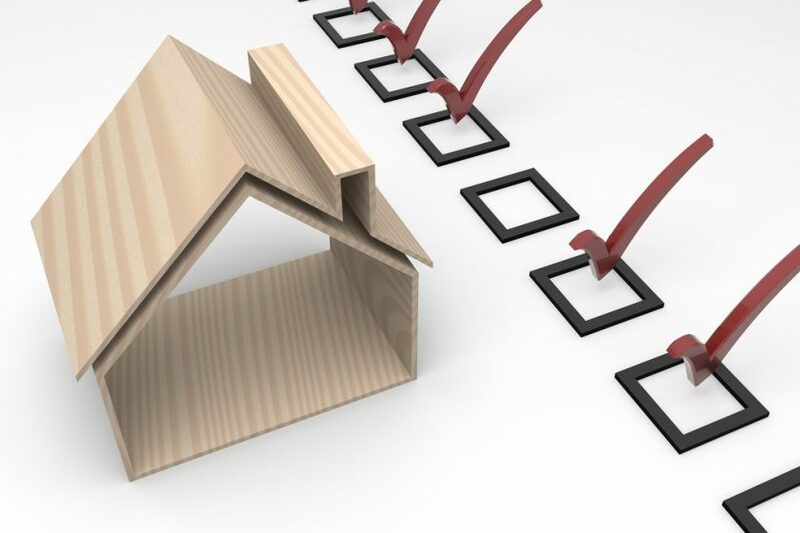 Many homeowners, especially those with children old enough to stay home alone, like to track their kids’ activity within the home to some extent. Contact sensors allow them to do so. One of the most popular places to put a contact sensor for children old enough to stay home alone is the liquor cabinet. Other places that may deserve a contact sensor include medicine cabinets or jewelry box doors. These types of applications are also ideal for tracking senior citizens’ health, as we’ve previously written about in our 6 Security Measures That Improve Senior Citizen Safety in the Home. With children you wouldn’t want to see medicine cabinets opened. With elderly family members, of course, the opposite is true. Use contact sensors to ensure that loved ones are taking their medications regularly and at the proper times. 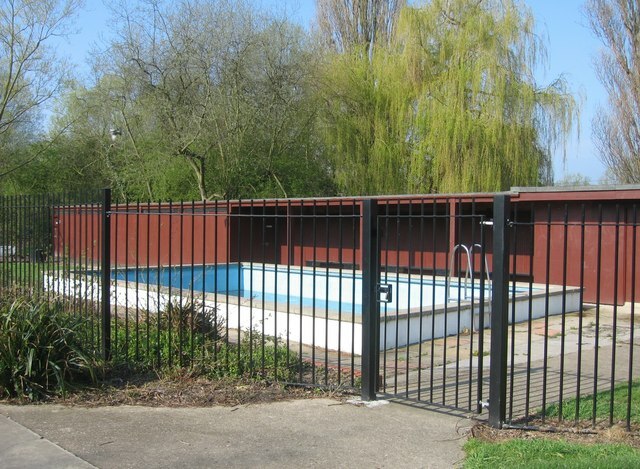 Pool gates are one of the most common applications for contact sensors. Photo by Geograph used under the CC BY-SA 2.0 License. Pool gates are one of the most popular unconventional locations for us to install contact sensors. These sensors add tremendous peace of mind for parents with small children. They are also quite popular for grandparents wishing to keep their grandchildren safe. However, even homeowners without children often contact their pool gates. In the event that neighbors are swimming in a pool while the homeowners are working, homeowners can receive a text to let them know the pool gate has been opened. When used in conjunction with surveillance cameras, contact sensors on pools can be especially effective. This type of setup will allow you to receive an alert or a phone call if your pool door has been opened, and then immediately look at your pool camera on your phone to see what caused the issue. This is another area of concern for parents in particular. If you don’t expect your kids to need to go into your bedroom, protect it with a contact sensor. Bedroom or basement closets where gifts and other valuables are kept are good locations to protect as well. This concept also works well for families who travel frequently. You may need to let friends or neighbors enter your home to take care of plants and pets while you are away. Contact sensors can ensure that these guests do not snoop. If caretakers did attempt to get into any rooms where they weren’t welcome, you’ll know immediately. Adding contact sensors with Alarm.com capabilities allows you to receive alerts when you have left a gate open that should remain closed to protect a pet from running free. Having a fenced in yard to contain pets can add a great amount of convenience to pet ownership. Unfortunately, if someone leaves the gate to that fence open, a pet can escape unbeknownst to the homeowner inside. Knowing when a fence has been opened provides great peace of mind to pet owners. Interactive service allows you to expand this concept as well. In addition to receiving alerts when a fence or gate opens, a interactive service allows you to receive alerts if you forget to close a gate. If, for example, you generally let the dog out at 7:00am, you can receive an alert if a gate or fence is left open at 6:55am. Now you aren’t accidentally letting the pet out when there is an easy escape route available. Protecting expensive possessions is a large part of why many homeowners install security systems. Adding contact sensors to doors or drawers that house these items allows you to protect your valuables even more closely. For example, you may not need to know every time your garage door opens when you are home. However, you may have a toolbox in the garage with expensive tools. A contact sensor in this case can be quite helpful. If you grab a tool yourself, you can ignore the alert on your phone. If you feel like someone else may be “borrowing” a tool, that alert could be worth investigating. If you already have a home security system installed, you likely already have contact sensors in basic places around the house. Adding contact sensors to your existing system can be quite easily done. If you do not have a security system, hopefully this post has given you ideas for a future system installation. Whether you have any security measures in place or not, feel free to contact us to help you design a system with contact sensors to give you all of the additional protection they can provide. We will be happy to help you design a system that not only protects your home and family in the case of a break-in, but also adds safety and convenience by allowing you to track activity throughout your entire home.